Last night we sponsored an Intro to Lettering course taught by glyph-master Daniel Gurwin. Put on by The Indigo Project and hosted at Stack, the class helped over 30 designers and artists become one step closer to letterform wizardry. 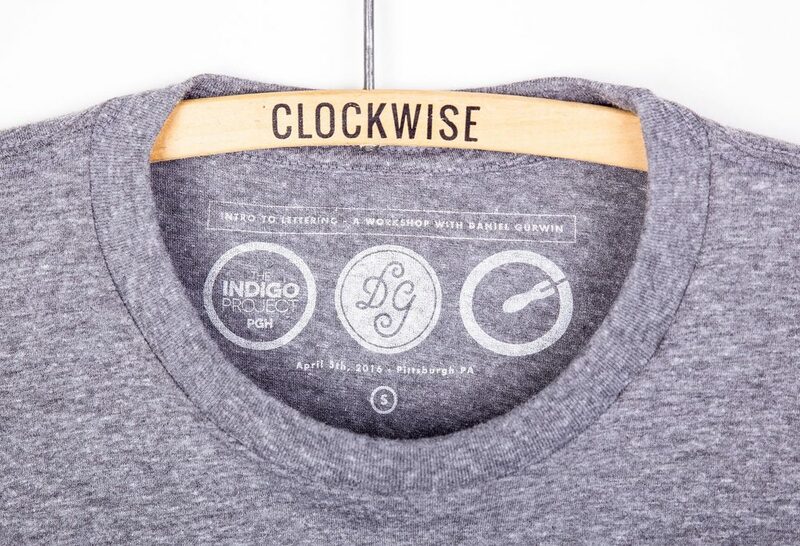 Clockwise provided each student with a tri-blend t-shirt sporting an original Gurwin print in our signature waterbased ink. A custom size label was printed in the shirts as well to commemorate the event. Event photographs by Hannah Altman with some edits by Clockwise.